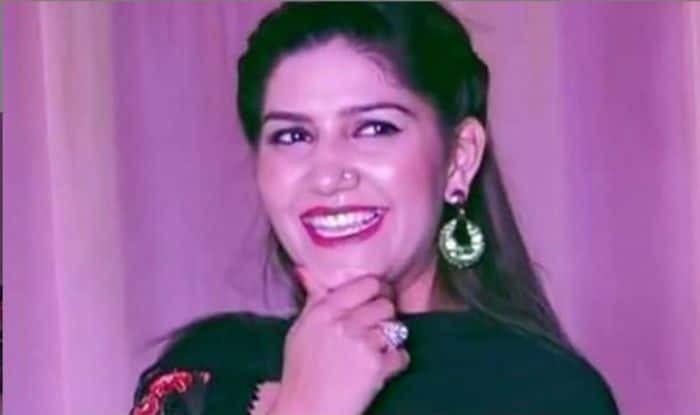 Haryanvi dancer and singer Sapna Choudhary, known for her killer dance moves, never misses performing on her popular track ‘Teri Aakhya Ka Yo Kajal’. Currently, she was in Delhi for a stage show and once again she was seen flaunting her thumkas on her popular number. Dressed in a red kurti- salwar, she has teamed up her look with subtle makeup and tresses pulled back neatly. The immense crowd, seen in the video, are cheering and rooting for her as she performs on the stage. The video has been shared by one of her fan pages and is going viral on social media. Earlier, she took to Instagram to share a video to express her happiness to perform on her favourite track. In the video, the ‘Anarkali of Haryana’ is seen dancing to her popular number ‘Tere Thumke Sapna Choudhary’ and is beaming with happiness, as usual. She not only performs on one song but also grooves to the beats of ‘Aakhya Ka Yo Kajal’.